Today we are happy to premiere with you a brand new track from New England’s Traditions. 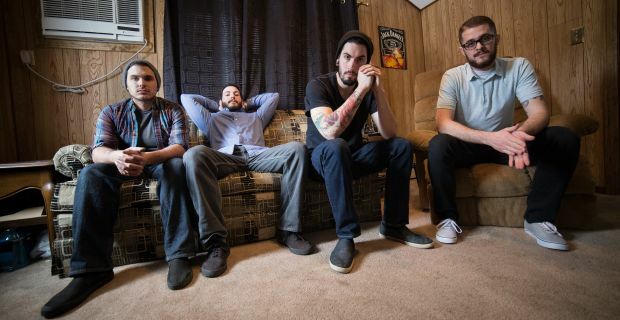 With their debut EP Cycles due out March 11, the East Coast pop-punk act is sure to be warmly welcomed into the affluent scene. Tapping into the aesthetics of older New Found Glory, Saves The Day, and early Boys Night Out, Traditions brings together what is most loved about the historic (as of late) genre, and with an incredibly crisp production, Cycles is sure to find itself as the band’s breakout release. Cycles opener “Ten Days” is a powerhouse introduction to the work. Colliding with inspiring guitars, soaring vocals, and a pulsing rhythm section, “Ten Days” should act as our re-blossoming into spring. Let us dust off the cold of the snow, and exit our hibernation for clearer planes. Check out the blistering opener below, and be sure to follow the band on Facebook, and Twitter. In taking the moniker Traditions, this band strives to become more than just a band. More than just simple three chord love or hate songs that been done a thousand times over. Every story has been written already. We know this. We’re just trying to be honest and give everyone our version of what we want to be passed down…what we want to stand the test of time. These guys just put it all out there. When it comes down to it Darth Maul would need another 2 sides to his saber to take them down because they are a force.